What is that instrument in the image above??? A mountain dulcimer! I inherited this fine hand-crafted specimen from my in-laws’ attic in Pittsburgh, where she’d spent 30+ years secluded and subjected to both hot summers and very cold winters. 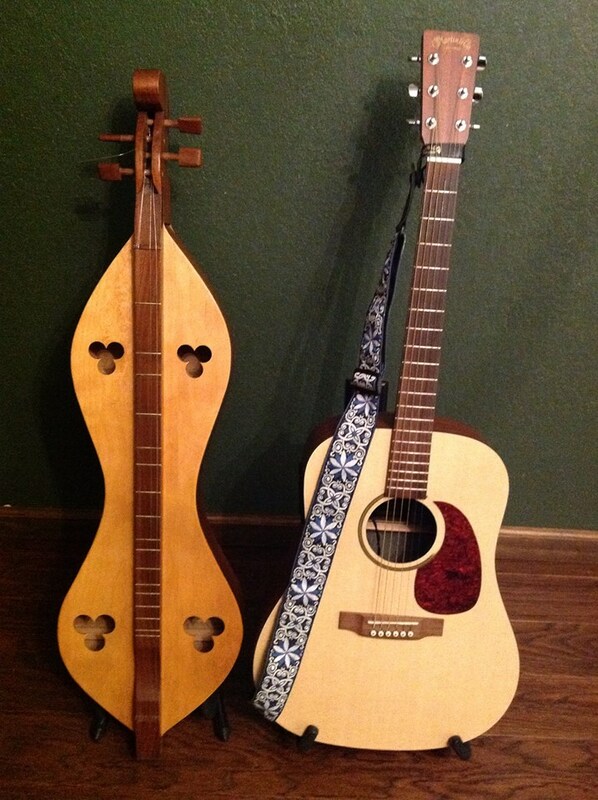 Her name is “Big Mama,” as she’s bigger than any commercially available dulcimer. (In fact, I need to use banjo strings on her, as no others are both thin enough and long enough.) The kids will get to see her in person at least once this month! There will be NO classes the week of November 23rd – 27th. Enjoy your holiday with your families! It’s super-simple to get where you need to go. Click on the image associated with your account on the “HOME” page for quick links to Registrations, PayPal / Payment Details, Class Schedules, and Class Policies.